Welcome to Chengdu Research Base of Giant Panda Breeding,This base is the best destination to know the giant pandas. 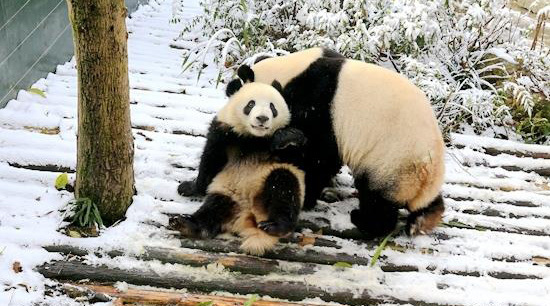 Here we can closely observe pandas ,how they rest, eat and play with each other. also, we can learn how to feed them, even we can watch female pandas nursing their cubs . And more importantly, we can further our understanding of how to protect these beautiful but endangered creatures. Background link: The panda’s hometown of Chengdu city! Chengdu boasts a civilization of 4500 years,and a city history of 2300 years.Dujiangyan irrigation system a heritage site has been nuturing Chengdu-the land of abundance to date.Sometimes,you could see snow-covered mountains from the city,even in the summer.Hundred of Sichuan dishes,thousands of local snacks,spicy hotpot will surely impress you with rich and lingering aftertaste.